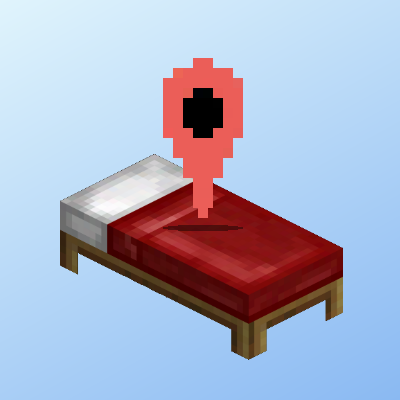 When you die you get to pick your respawn point from a list of the last 10 beds you've slept int and the world spawn (configurable). Team Rapture? Team Rapture is a team of Modders, Modpack Makers, Artists, Streamers, and MORE. We are a group filled with talent and with an amazing community backing us. We Create Modpacks and host servers for our amazing community to play with us and our streamers when they play. Our Primary focus is Minecraft but we are NOT a minecraft only team! We Play and HOST other games, like ARK, 7D2D, and A LOT MORE! Interested in being a part of the community? When you have not slept at night the game is bug and close your game. would you mind posting an issue in the issue tracker, including a crash report and/or log file? 1: yes, just use the mod's config file. 3: the mod uses the same mechanic as vanilla does for finding a suitable spawn point. I tell the mod that players must spawn at 0 100 0 but the game detects that that co-ordinate is dangerous because it is 4 blocks above a ravine or something, does it then attempt to spawn me in a safer place near the original spawn or even at a lower Y level in the ravine?, just so I don't spawn in air or solid rock, thanks! Sadly this mod only half works. Was looking for a mod that allows you to respawn in the Nether/End so I can build houses in there to respawn into but this mod has a bug where if you try to respawn into the nether or end from the overworld, it will just spawn you in the sky and kill you. Also the /help menu displays the wrong command for set respawn. Have you tried updating to the latest version of the mod? If the bug still persists submit a bug report on the mod's Issue Tracker, including your Minecraft Version, Forge Version, Mod Version and steps to reproduce. I tested on 1.12.2-1.2.1 and have successfully been able to respawn in the nether and in the End, after setting a spawn point. However, the World spawn will always lead to the overworld for the nether and end, since vanilla doesn't allow respawning there. Hi, can u make an 1.10.2 version please ? nice mod, it is pretty useful! Simple and efficient !! definitely keeping this one in my repertoire !